Gangemi Racing :: It's a Trifecta for Gangemi Racing!!! The Group Three Roma Cup has always been a sentimental race for the Gangemi Racing stable with the "Nonno" of the boys Chris and Michael creating the race 52 years ago to celebrate the Italian community. In 2017 the dream was realised when stable star Rock Magic saluted and there was hardly a dry eye in the house! Fast forward 12 months to the 2018 Roma Cup and Gangemi Racing has pulled off one of the great performances in the history of Perth racing training the trifecta in the race!! 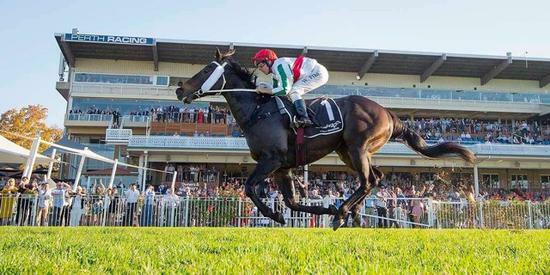 With Jarrad Noske unavailable, Stable star Rock Magic was perfectly ridden just off speed by the State's leading jockey in William Pike and he showed why he is the leading sprinter in Western Australia winning with ease first up by 3.25 lengths. After winning his last 3 in a row, the State's most improved sprinter in Battle Hero was a gallant runner-up and the little horse with the big heart in Durendal came home strong again to pick up the third place cheque! It was probably the biggest crowd ever in the mounting yard at Ascot, with the huge number of people involved with each horse. The noise was deafening as they each cheered their horses to the line and the hugs and kisses after the race lasted longer than the race itself!! It was a great day to be part of the GR team and many of the owners had full pockets with a trifecta that paid over 50 to 1! !